Each of us wants to know that our lives have made a difference. Through our actions and deeds, we seek to leave our mark on our community and demonstrate to friends and family what we stand for. A very significant way to do that is to include MontanaPBS in your estate plans. Your planned gift donation will help to assure that the kinds of programs that have meaning to you today will be available to others long into the future. For this reason, your planned gift represents a remarkable legacy that you leave to your children, grandchildren, friends, and community. Your gift can help to ensure that, no matter what happens to other media, MontanaPBS will continue to encourage lifelong learning and foster the vitality and spirit of our region. Your planned gift donation enables us to fulfill our mission of sharing diverse stories; connecting our citizens; discovering common ground; and celebrating the independent spirit and beauty of Montana. Share your values with future generations through a planned gift to MontanaPBS. Please contact us for further information. Complimentary membership for life (includes receiving the monthly program guide). A special surprise thank you gift upon enrollment. 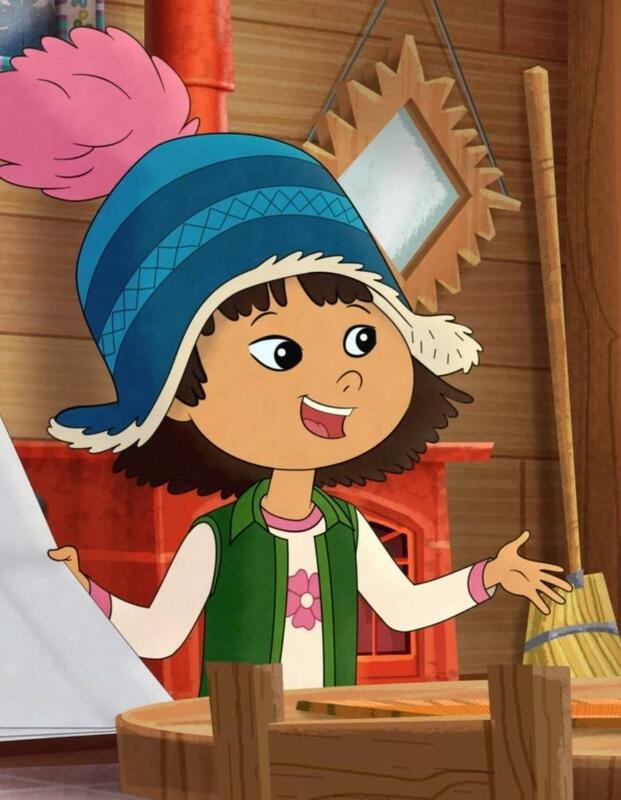 The benefit of knowing that you are helping to preserve public television in Montana for generations to come. By completing the Will or Estate Plan Gift Confirmation form below, our development team will automatically receive your completed form and reach out to you regarding your planned gift. Thank you for your interest in the Legacy Society! We look forward to working with you to ensure that our work at MontanaPBS continues to inspire, educate, and connect future generations of Montanans. Provides a special opportunity to support the station white paying less in Montana state income tax. Individuals, corporations, small business corporations, partnerships and limited liability companies are eligible for the METC. The allowable contribution is a charitable gift made to a qualified endowment. The contribution from a corporation to a qualified endowment must be by means of a planned gift. The contribution from a corporation to a qualified endowment made by means of direct gift. 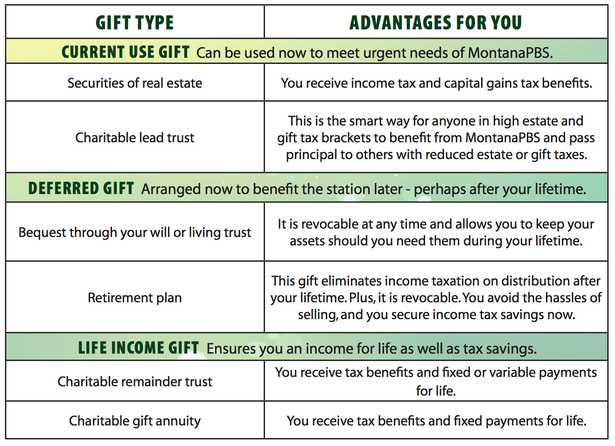 Planned or deferred gifts by individuals to a permanent endowment to MontanaPBS are eligible for a state income tax credit of up to 40 percent of the qualifying contribution up to a maximum of $10,000 tax credit, per year, per individual. Married couples could qualify for a maximum of $20,000. Qualifying businesses are eligible for a credit of 20 percent of a direct gift up to a maximum of $10,000 tax credit per year. Planned gifts that qualify: Charitable gift annuity, charitable remainder trust, charitable lead trust, paid-up life insurance policy, retained life estate.